Take a look, it’s in a book. Reading Rainbow! You’re quite welcome for that being stuck in your head the rest of the day. 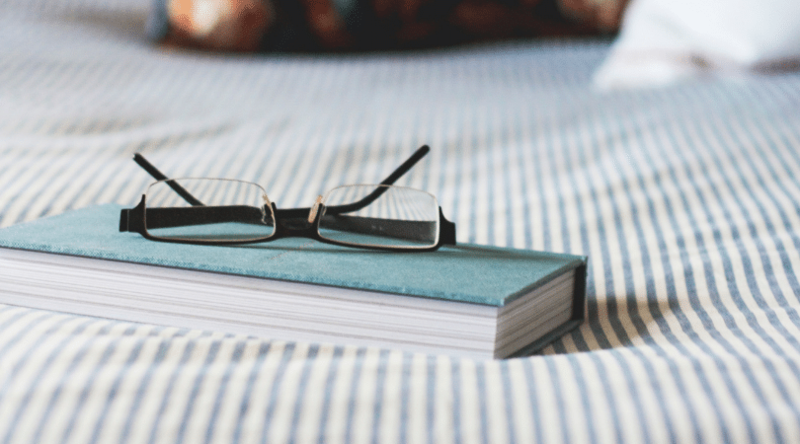 In Part Two of the two-part career development books series, we’re going to be talking about books for adults. Fewer pictures and fewer rhymes than the Career Exploration Books for Kids, but just as many powerful lessons. Many adults get stuck in a “meh” feeling about their careers at a certain point. But it really doesn’t need to be that way. I mean, yes, support the children. Make the money! But you can do it in a way that’s not meh if you find ways to swivel in your career or make your current job and career trajectory more exciting, meaningful, and fun. To prove my point and get you inspired, here are some of my favorite career education and career development books for the grown ups. Grab them on Amazon, check out your local library, or Try Audible and Get Two Free Audiobooks . Any way you read them, know that you’re making some time to invest in yourself, and that’s worth it. I love Getting Unstuck for a lot of reasons, not the least of which is that I have worked with the author, Dr. Tim Butler, for the past eight years and think he is beyond brilliant. 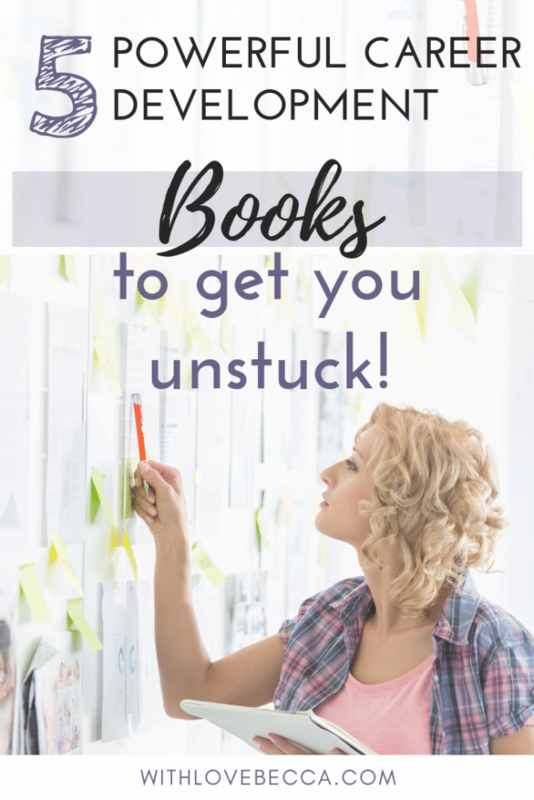 Getting Unstuck is the ultimate guide book for thinking through your career vision and developing your career and life criteria. In the book, Butler pushes you to be introspective and tap into a space of free attention to really reflect on your deep seated interests and skills. He’s the master of this stuff! Another reason I want to call out Getting Unstuck is the 100 Job Exercise. We’ve talked about this exercise here before, but it’s worth shouting from the rooftops again. It’s that good. Michelle Obama’s book has a post all it’s own on this blog because I’m that obsessed with it. From a career perspective, I think Obama has a really powerful message in Becoming – the swerve. I’ve referred to these career shifts as swivels, but I like swerve too, particularly when you are pulling multiple career switch levers at once. Overall, Obama makes the case based on her own experience that it’s not too late to make a change. At 25, at 35, at 55, at 85. You can embrace change at any point in your career if you understand your transferable skills. It’s completely unnecessary to have it all figured it out at 18, and quite honestly not realistic. Your interests will change, your skill set will change. Swivel, or swerve with them. I don’t. Not for a second! I follow the rules. I own khakis. The most dramatic thing I’ve ever done to my physical appearance is cut my hair for charity… That is if you don’t count the second hole I got pierced in my ears at 18. WILD CHILD! 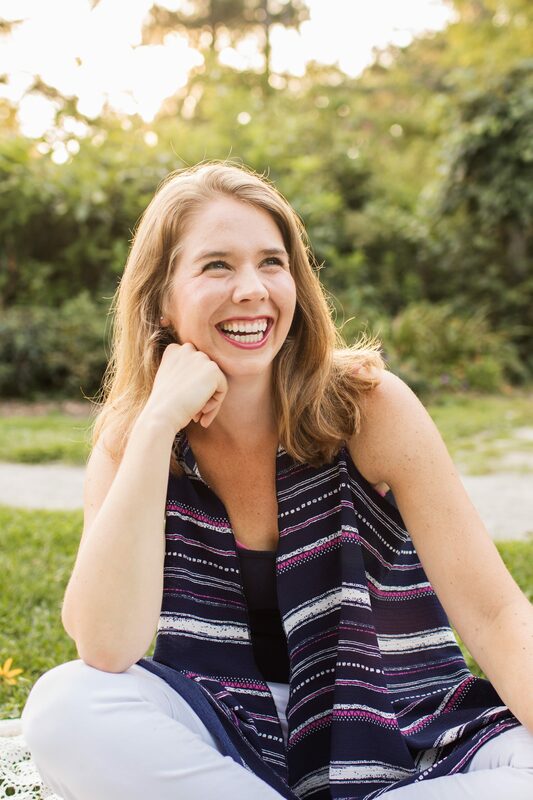 So when I first started Rebel Talent I anticipated that author Francesca Gino would be painting a picture of a leader and entrepreneur very dissimilar from myself. But being a rebel in your career isn’t all mohawks and bungee jumping – it’s about questioning the status quo. Gino’s book is a game changer for your career development because it helps you think outside the proverbial box and appreciate the nagging voice in the back of your head that is asking you “what if we did things differently?” That’s a really powerful voice, and Gino has plenty of examples of people who have succeeded by listening to it. This one’s for the managers, the #bossbabes, the CEOs. First off, congratulations on getting to a point in your career where you are taking charge and leading people. That’s super cool! But are you feeling a little bit of impostor syndrome? Like you don’t really know what you’re doing and might get the hook? It’s likely a bit in your head, but there are of course ways to improve your skills too. More confidence in the job leads to greater satisfaction in the job because you feel comfortable and competent. #Science. If this is you in nutshell, pick up Linda Hill and Kent Lineback’s book Being the Boss which offers a guide on how to continually manage yourself, manage your network, and manage your team to succeed (and find fulfillment) as the boss. Sticking with the confidence vibe, let’s move on to You Are a Badass®: How to Stop Doubting Your Greatness and Start Living an Awesome Life. While our career development seems very much a one woman show, it’s really not. You’re going to be interacting with others so you need to honestly believe that you are worthy, skilled, and capable in order to be given opportunities that require someone confident, skilled, and capable. That’s Sincero’s whole deal in this book. Believing in yourself. Women especially have a tendency not to apply for positions because they don’t feel they are qualified. But even if you don’t have every bullet point in a your dream job description listed on your resume, your background and story might be exactly what the hiring manager is looking for. You have to give yourself that chance. If you are feeling stuck in a career rut, let Sincero give you a big old pep talk. Then take that confidence into some networking conversations! I hope you’ll pick up one of these books if you are feeling stuck in your career. Because books are awesome, and so are you. Looking for more? Check out 21 more career development book recommendations from career coaches over at The Muse. But even if you don’t pick up a single book, you did pick up a blog post. That’s cool too. So I’ll leave you with this. Please remember that life is too SHORT to get pigeon holed into something you thought you should do because you didn’t know the options, or didn’t believe in your abilities. And at the same time life is too LONG to be bored out of your skull for all of it. Your happiness in your career really does matter. Give yourself a shot. And a break. And a Kit Kat while you’re at it. You deserve it.